Microscopic image of encapsulated Cryptococcus neoformans cells. The polysaccharide capsule is the most important virulence factor in this fungal pathogen. 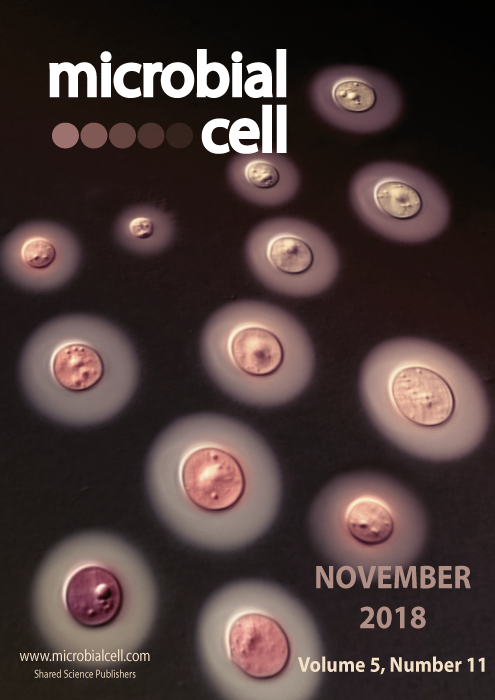 Cells were stained with India ink to visualize the capsule as a light halo around the fungal cell body. The image was acquired using Differential Interference Contrast Microscopy (image by François L. Mayer; University of British Columbia, Canada); image modified by MIC. The cover is published under the Creative Commons Attribution (CC BY) license.